Although the Lionhead rabbit is one of the newest domestic rabbit breeds within the United States their history goes way back. Within the United Kingdom the Lionhead breed was already officially recognized since the year 2002. Many experts believe that the lionhead rabbit originates from a crossing between a Swiss Fox and a Netherland dwarf rabbit, there is however no scientific evidence. Others state that the lionhead is a crossing between a Jersey Wooly and a Netherland dwarf but they can’t support their hypothesis with evidence. Although it is not likely that we will ever find out their true origination we can assume it is one of the mentioned theories. In contrast with their relatively late arrival in the United States the Lionhead Rabbit was already very popular in Europe during the late eighties. Since 2002 the Lionhead rabbit is officially recognized in the United Kingdom as a domestic breed of rabbit in many varieties. It took more than 4 years to complete the process. Already in 1998 the Breeds Standards Committee (BSC) had a meeting where they spoke about the Lionhead breed. A year later a standard was proposed to the BSC to which they agreed. In the following years the working standard was accepted and an official lionhead club was founded. This club became part of the much broader rare varieties club. As from the year 2000 several presentations were held at the Bradfrord Championship Show in different colors. The major breakthrough was at the first of may in 2002. 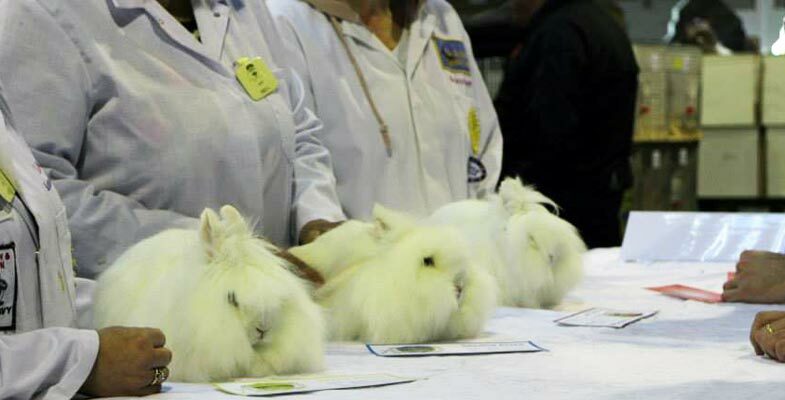 Just several days after the latest Bradford show ended the Britisch Rabbit Council (BRC) decided to officially recognize the Lionhead rabbit breed. 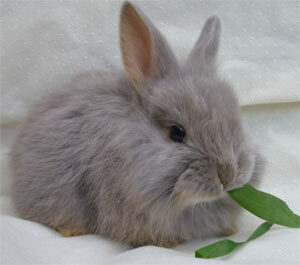 The BRC standardized the Lionhead rabbit in all of its available colors. The first lionhead rabbit was imported in 2000, it would however take more than 14 years before the standard committee of the American Rabbit Breeders Association would stand (ARBA) would officially recognize the lionhead rabbit breed. As of 1 February 2014 the ARBA officially recognized the breed in the varieties Tortoise and Ruby Eyed White (REW). At this time there are several Certification of Development (COD) holders that try to get their variety officially recognized. In order to achieve this they must have 3 successful show presentations, this has to happen within 5 years. For more about showing lionhead rabbits and information about the COD process we refer to the following pages. If you are interested in breeding it yourself we refer to the breeding page for more information. So there is no way it can be “wild” or survive in the wild? Definitely a domestic breed? I know this is an old question but they can survive in the wild. We have a bunch of wild lionheads in my neighborhood in upstate NY. It’s getting cold and the last bunches made it through 2 winters no problem. I have only caught 1 baby and he’s albino. I’ve seen brown and albino ones in the neighborhood. I would like to get them out of the wild but it’s been almost impossible. Yes, it is definitely a domestic breed! The chanches of a lionhead surviving out there are almost zero. They require a lot of care. They are very hearty bunnies. Like my response to Mo, sadly people dump animals in my neighborhood. The entire neighborhood does what we can to help and rescue dogs, cats, birds, rabbits and even a snake once. We have wild lionheads who have thrived through 2 winters now and we now have albino lionheads which we caught one and kept him thinking there was NO way a super white bunny would survive but I just saw and tried to catch a full grown one this morning. They can live in the wild and doing so pretty well.